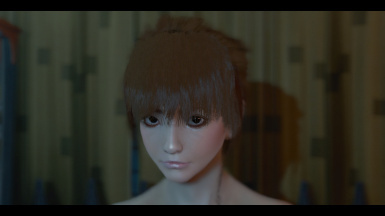 Alien Beauty - Angels of Darkness Character Preset Pack Required or faces wont look quite right. Alien Beauty - GALAXIA Character Preset Also Required or face wont look quite right. Alien Beauty - Jaylah Character Preset Also Required or face wont look quite right. Alien Beauty - Ninat Character Preset Also Required or face wont look quite right. Alien Beauty - Xylia Character Preset Also Required or face wont look quite right. BB's Character Preset - Lady Death Not Sure if this one is needed but i have it also installed when i create my characters. Beautiful Freak Looksmenu Preset Won't look right without it. Cute followers - Piper Cait and Curie To make faces like on pics. Cybernetic Beauty - B.A.R.B.I.E. Character Preset Required or face wont look quite right. Naomi - LooksMenu Preset She will not look right witout this! NX-2C (Ivy) Not sure if any assets here were actually used, but better safe than sorry, right? My mods free to upload to other sites, convert to other games, and use in other mods, no permissions need be gained. Just credit me and provide a link back here! Add the following lines to your "Fallout4Custom.ini"